Martin Luther King Jr. was a prominent social activist that played a fundamental role in the Civil Rights Movement. He was an advocate for equal rights and fair treatment for all. He fought, through peaceful protest, for African Americans, the economically disadvantaged, and victims of injustice. His advocacy was a large driving force behind the Civil Rights Act and the Voting Rights Act, that changed the course of U.S. history. 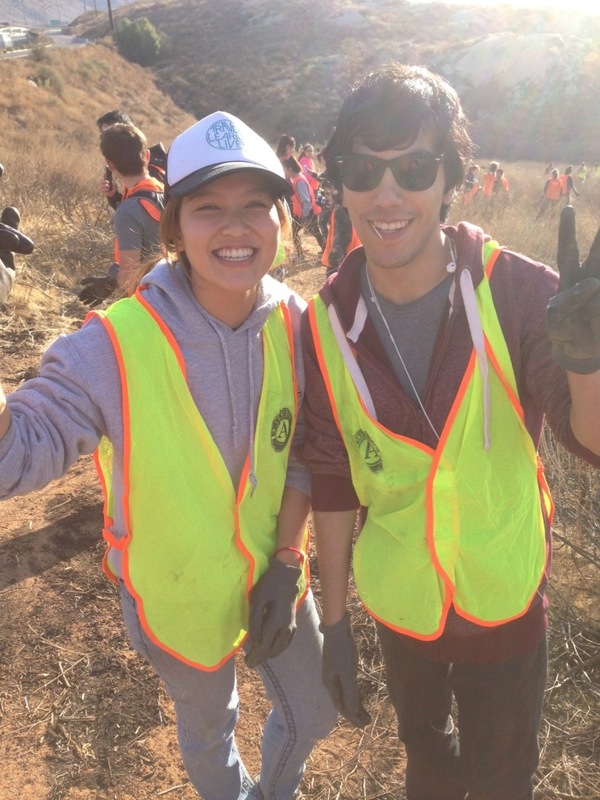 On January 15th, Habitat for Humanity Riverside Americorps member, Kathy Dang, and Community Action Partnership intern, Christian Gutierrez, joined other Americorps members from University Eastside Community Collaborative at their annual “Adopt-A-Street” event. This one took place along Quail Run Road where it intersects with Canyon Crest Drive. 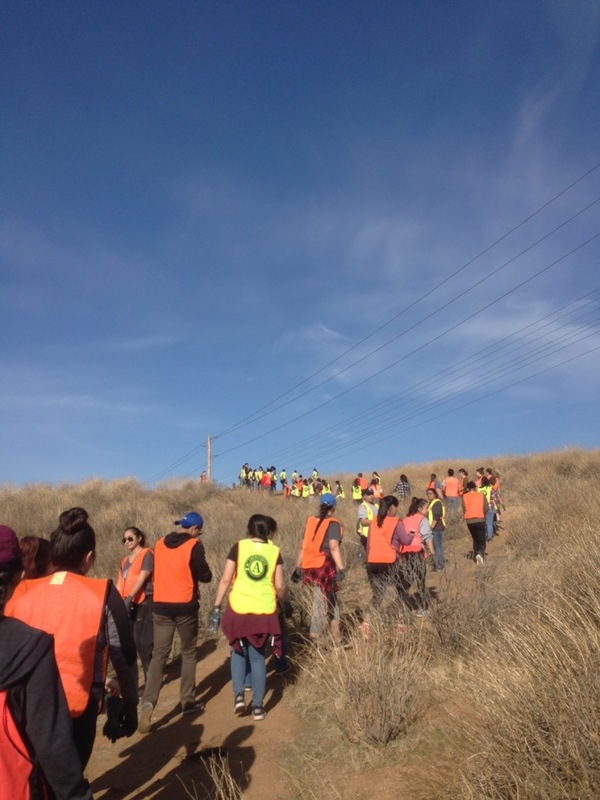 Alongside other volunteers, they formed a human chain down the ravine and pulled out large tires that had been dumped there. The tires were filled with mud and water, and had even become a home to some animals. 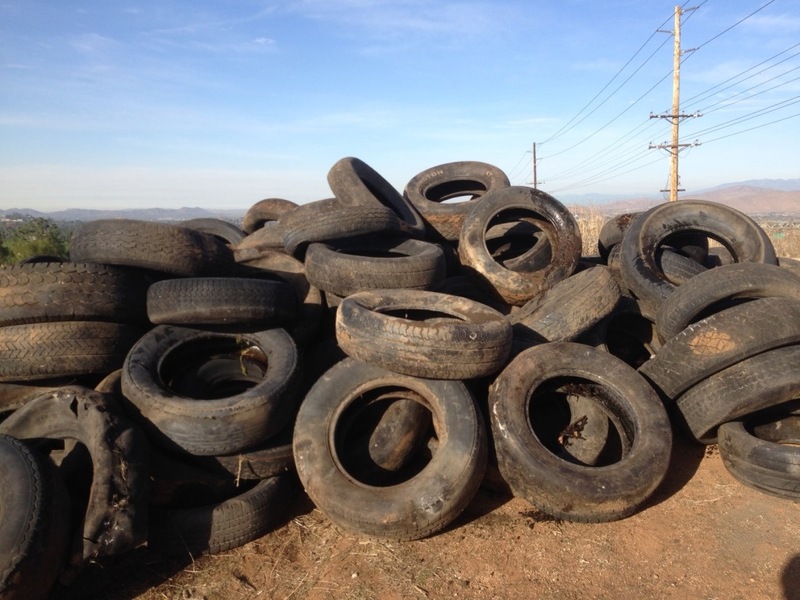 But one by one, they were passed from one volunteer to the next until every tire made it to the top of the hill and into a large waste container.